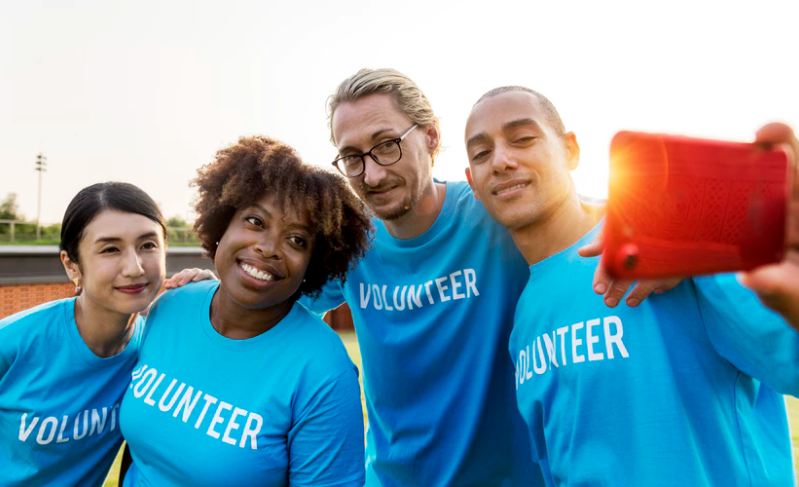 Digital technology offers powerful tools that can help charities engage with volunteers and harness their time, skills and energy effectively. Volunteers can also bring valuable digital expertise to charities, who want to become more digitally savvy. There’s so much potential in linking up volunteering and digital but it’s still a minority of charities that do it really well. This blog is going to share some thoughts on how we can bridge the volunteering-digital divide. We know that many charities have a digital deficit – and lack the skills and resources to address this. This year’s Charity Digital Skills Report found that funding and skills are the two top barriers to digital progress. I sense that some charities feel reluctant or apprehensive about working together with specialist, highly skilled volunteers, who bring expertise that doesn’t already exist within the organisation. This might reflect the fact that our volunteer programmes haven’t evolved to a point where we are comfortable with volunteers working with greater levels of responsibility and autonomy. As a result, we risk missing out on volunteers who have the skills and knowledge to help us generate new ideas, co-manage tech projects and turn our digital dreams into reality. So, what can we learn from organisations that successfully connect the worlds of volunteering and digital? I recently spoke to Morven MacLean, Volunteering Development Manager at Children’s Hospices Across Scotland (CHAS) about how they are using Workplace by Facebook and CHASbot (a computer programme that mimics human conversation) to enhance volunteer engagement. What excited me about this project was that CHAS worked successfully with two specialist volunteers to develop and roll out Workplace and for the coding and set up of CHASbot. CHAS has a positive culture of volunteering and volunteering is embedded within all teams, including the senior team. Our CEO understands the impact of volunteering and gets that volunteers come with a huge range of skills and experience. CHAS takes a broad view of volunteers’ skills and experience during the recruitment process, which enabled us to identify two of our existing volunteers who had relevant experience to support with the Workplace project. This was helpful as the volunteers already had a track record with the organisation and there was a good relationship of trust. If you’re recruiting a new volunteer to help with a digital project, think about how you can provide opportunities for them to really get to know your organisation; to understand your vision, values, services, beneficiaries and intended audience. One volunteer brought strong project management and stakeholder engagement skills, whilst the other is Head of IT in a local company. Bringing together these two areas of volunteer expertise was highly beneficial for the project. Think about the skills required for the whole project, rather than just the technical aspects. For example, the person who is providing guidance around IT may not necessarily have the right skillset to consult with staff, volunteers or service users. Map out clearly what is involved in the project and be clear about each person’s (staff member or volunteer) role and responsibilities. Ensure that the volunteer has a named supervisor or manager and that this staff member feels confident about working with volunteers and understands how it differs from an employer/employee relationship. Finding a structure that enabled people to work together collaboratively and to share expertise was important. At CHAS, the volunteer with project management experience chaired the project steering group, which included representation from Volunteer Development, Communications and IT. Having someone skilled and confident to chair these meetings, guide the project, and ask the difficult questions was a great help. The group meetings also enabled us to monitor how the project was progressing and to ensure that we were meeting deadlines. Once Workplace was up and running, we also created a private space for this group to connect, chat and share ideas and updates. Take the time to know your volunteer, understand what has motivated them to get involved and what would make the experience a meaningful one for them. Invest time in building a good working relationship with the volunteer and make the time to check in. Communicate about the positive outcomes that have resulted from the project and its impact for your organisation, volunteers and service users. We have shared the project’s success through writing blogs, delivering webinars and speaking at conferences. From the very start of the project, plan for what needs to be in place to ensure that the work can continue if/when the volunteer leaves. Think about how you can upskill staff at the same time – does the volunteer have the skills to train/tutor staff and explain things in a simple way that makes sense? Douglas, our specialist IT volunteer, trained staff in how to code and our administrator is now competent in coding! He also created a guide to our Chatbot and made the user video. Douglas advised us about how to measure the success of the project, how to measure engagement and understand what content is popular. What has been the impact of this digital project? “The change has impacted on our volunteer force with over 500 volunteers signing up in the first six weeks. Volunteers have told us that Workplace has developed their knowledge of CHAS, keeping them up to date with the latest developments and allowing them to see what other volunteers are doing across Scotland” says Morven. Take a look at more of our digital resources for charities.